The ICC Cricket World Cup 2019 Public Ballot opened today (Wednesday, 1 August) at 10am (BST), when ticket applications were opened to all members of the public, backed by a major marketing and PR campaign, welcomingly called Are you in?. 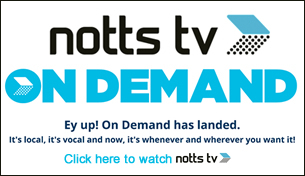 Trent Bridge, Nottingham will host five matches in the 2019 ICC World Cup. England, Australia, India, Pakistan, New Zealand, the West Indies and Bangladesh will all visit Nottingham during the six-and-a-half week competition. Hugh White, Director for Sport and Culture at Nottingham City Council, said “Nottingham is tremendously excited to be hosting five of the forty-eight matches and we are very proud to be working closely with our partners at Trent Bridge to host these games and ensure a very warm welcome to local, national and international visitors to the city. There is no doubt the demand is going to be massive for tickets and I would urge everybody; from avid cricket fans to newcomers and families who may want to adopt a team, to get yourselves into the ballot so as to not miss the chance to experience this wonderful event. 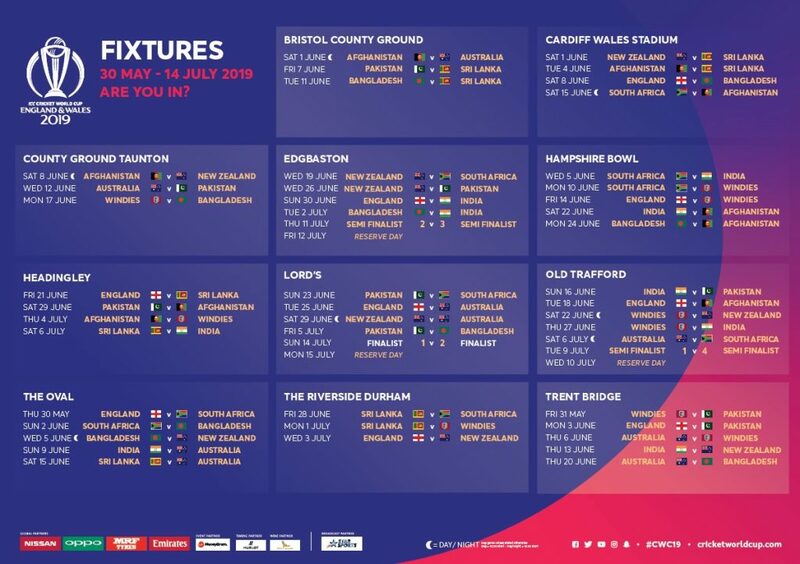 This was echoed by Nottinghamshire County Cricket Club Commercial Director, Michael Temple, who said: “An ICC Cricket World Cup in England and Wales is a once in a generation event and we’re looking forward to welcoming the world to Trent Bridge. Trent Bridge will host five matches in the 2019 ICC World Cup. England, Australia, India, Pakistan, New Zealand, the West Indies and Bangladesh will all visit Nottingham during the six-and-a-half week competition.